The story of the never seconds blog, is a far more complicated one than is being made out in the media. Â In short, a nine year old Scottish pupil has been reviewing her school lunch on an almost daily basis. Â She used various categories to rate the meal, and where possible, a picture of her dinner. 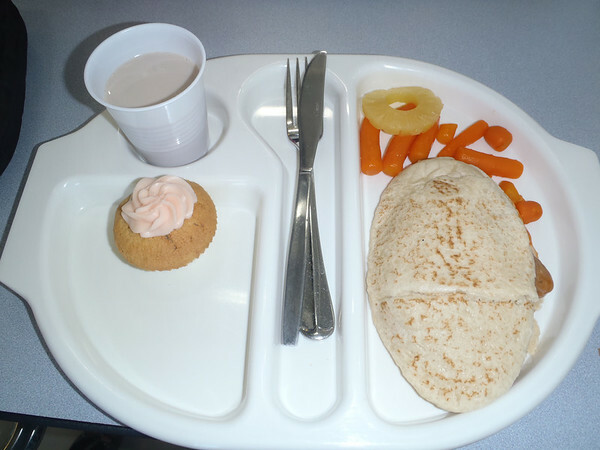 Yesterday Martha (known on her blog as VEG) was asked by her head teacher on behalf ofÂ Argyll and Bute council to stop taking pictures of her dinner. Â This led to Martha writing the lastÂ post explaining the situation, and that her blog had come to an end. The majority of the media have taken this to be that the blog itself has been banned. Â To some degree I understand their point of view. Stopping the photos, makes it hard for anyone, let alone a nine year old to convey the quality of the food being served. Martha has been told not to take any further pictures of her lunch, but the Argyll and Bute council are yet toÂ publiclyÂ state why. There is a risk with children taking cameras into school, but many do in the form of mobile phones every day of the school year, worldwide. Â Was this blog actively encouraging kids to snap away in school? Â It is correct that any school or council have a robust policy on the safe use of cameras. Â Pupils could be taking all kinds of images and publishing them on the web for all to see. Â However should a policy make a young girl feel so uncomfortable to stop writing? I’d suggest there are now some difficult meetings going on within the Argyll and Bute councilÂ offices, mainly on how they get around this publicity nightmare which has interested journalist and bloggers world wide. Â By ‘silencing’ this young girl, they haveÂ awakened the people who shout loudest. Â Something often refered to as theÂ Streisand effect. Well what should the council have done? Firstly in my opinion, they should have taken theÂ opportunityÂ to look more closely into the meals they are providing to pupils. Â Perhaps Martha could have been a pupil consultant to the catering agency? Â Changing a negative into a positive. Secondly and most importantly, they should have created a policy which allowed her safe use of a camera to continue her efforts, and charity work. Â The school should have allowed Martha to use their camera to take a picture of her lunch. Â This could have been uploaded from school to her blog, with the school able to monitor it’s use, and ensure nobody came to any harm. Â A workable policy to reduce the risks, rather than stifle aÂ child’sÂ creativity. Seems simple right? Argyll & Bute Council respond to criticism over #neverseconds & the ban of cameras. http://t.co/toak9Pv6 Job fears & misrepresentation. Social Media Isn’t New… Is it?